Single donation or a fixed monthly donation? On this page you can choose whether you want to support El Cambio Academy with a single donation or a fixed monthly donation. Donations are for those who would like to lend a helping hand to our project. 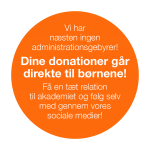 If you are donating $700 / DKK 5.000 - or more - you will be mentioned on the website on the page "A Special Thanks". We use PayPal as a payment platform. If you are not already a user of PayPal, you can register by clicking on the “Donate” button. All you need is your credit card. Click the “Donate” button if you want to donate a lump sum to El Cambio Academy. When you hvad clicked “Donate” you will get the opportunity to enter the amount you wish to donate. 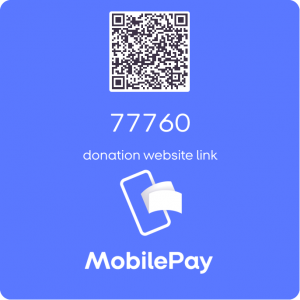 Last but not least, you can in Denmark also transfer your donation through mobilepay: 777 60. If you are not already a user of PayPal, you can register by clicking on the "Subscribe" button. Click on the "Subscribe" button if you want to support a fixed monthly amount. You can choose from the drop down menu what amount is right for you. As long as you create the shipment once, PayPal provides for you every month a fixed amount for El Cambio Academy. Why does your donation matter? ● Young boys, families and neighborhoods are suffering. ● With love, education, support and resources we can change lives for ever. ● We want to create good characters, world classstudents and soccer players. ● We build up a school and a soccer department. ● The school and soccer department will be known for its modern leadership, which we strongly believe is the key to great development environments. ● After several selections, boys age 9-10 years will attend the academy. ● When signed up for the school they are guaranteed 8 years of schooling. ● The boys will have a daily life filled with fun, school, soccer and character development. Your donation makes this dream come true.